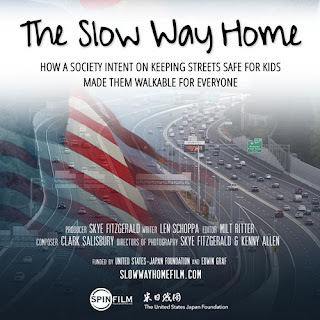 In time for Bike to School Day on May 4, Maryland Public Television is premiering the documentary The Slow Way Home. The film explores the divergence between the ways children travel to school in America and Japan. It also examines how American families have largely given up on keeping our streets and public spaces safe for children while Japanese communities have mobilized to keep their streets safe and walkable, not only for children but for everyone in society.The Slow Way Home is scheduled to be shown on MPT2 on Tuesday, May 3, at 9:00 pm. 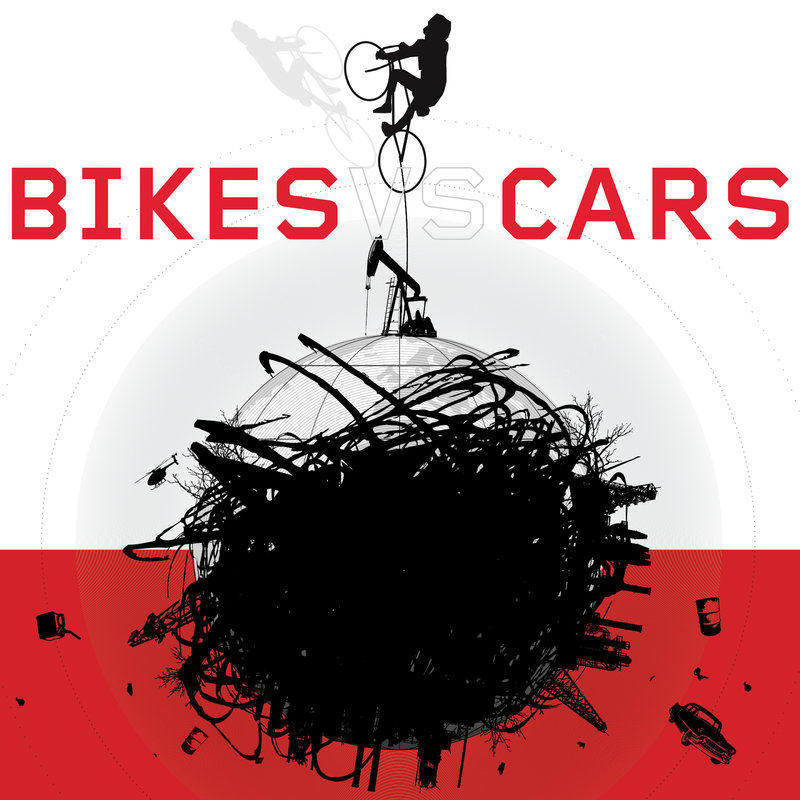 Later during Bike Month the local chapter of the American Planning Association (APA) is offering an exclusive screening of the documentary Bikes vs. Cars. From bike activists in Sao Paulo and Los Angeles who are fighting for safe bike lanes to the City of Copenhagen where forty percent commute by bike daily, Bikes vs. Cars looks at the struggle for bicyclists in a society dominated by cars and the revolutionary changes that could take place if more cities moved away from car-centric models. The screening will be on Wednesday, May 18, at 6:30 pm at the Landmark E Street Theater in D.C.
You need tickets to attend the screening. These can be obtained here but must be ordered by Tuesday, May 3. 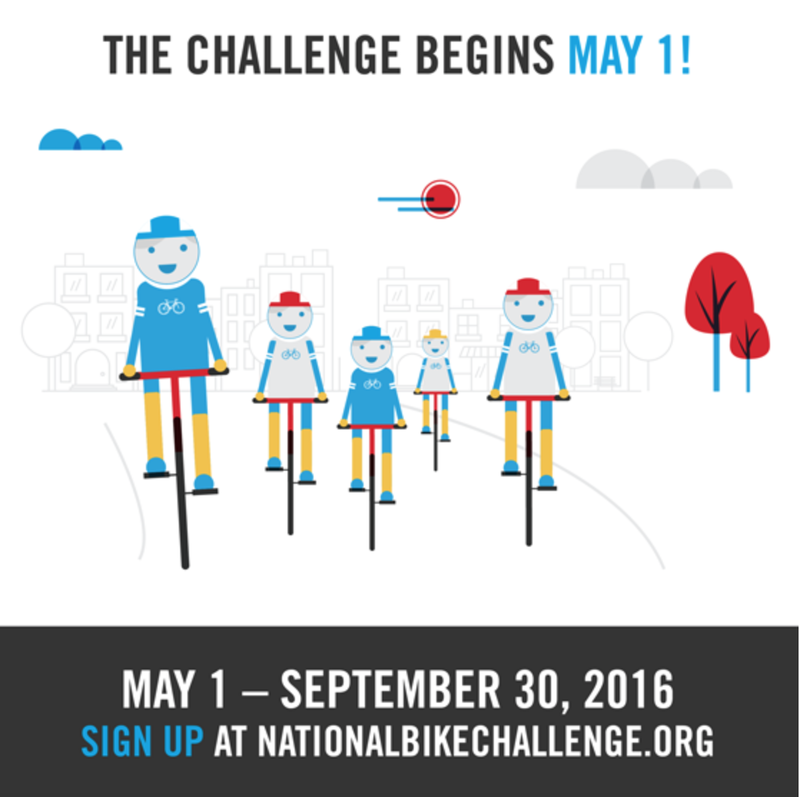 FABB is encouraging members to sign up for the National Bike Challenge to help promote bicycling. PeopleForBikes, a national organization dedicated to making bicycling better for everyone, is again sponsoring the National Bike Challenge. Now in its fifth year, the Challenge seeks to unite millions of riders, thousands of businesses and hundreds of communities to create a powerful, united voice for bicycling and its benefits. The Challenge basically is an easy logging center for you to record the miles you ride while competing with other riders all over the country. It is a free and easy way to challenge yourself, colleagues and the greater community to ride more. 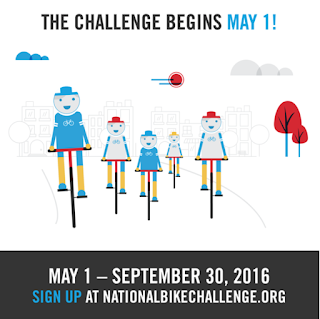 The Challenge aims to unite 100,000 riders to pedal 75 million miles from May 1, 2016 until September 30, 2016. You are out riding anyway, so why not record those miles and demonstrate to everyone how great bicycling is? Plus, participants are eligible to win prizes. So, sign up here and get started. FABB is encouraging all members to participate in this year's Bike to Work Day (BTWD) on Friday, May 20. 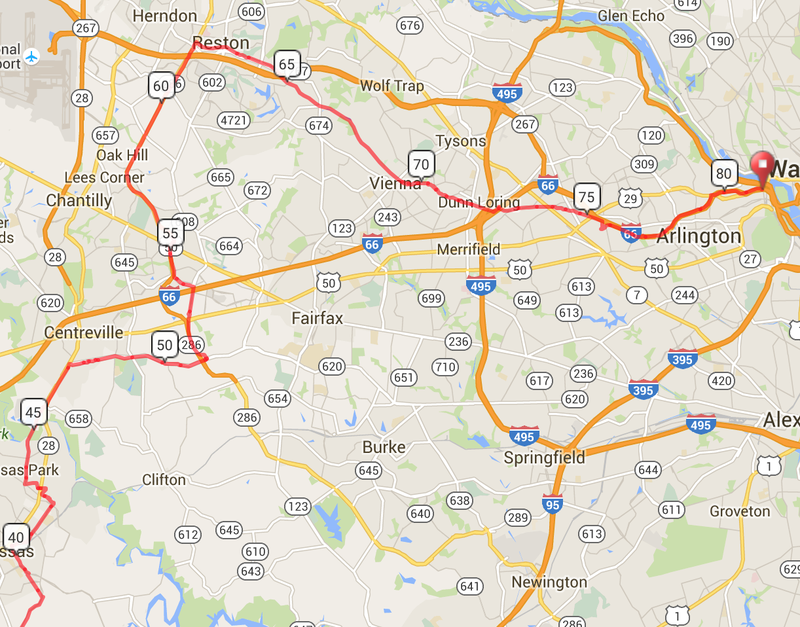 We also are seeking volunteers to help represent our group at Fairfax County’s 14 pit stops. This is a major opportunity for FABB to reach out to the community and celebrate bicycling as a clean, fun, and healthy way to get to work. 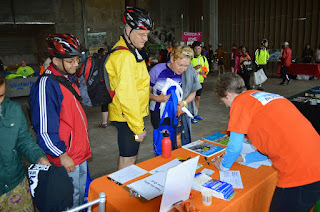 BTWD 2016 for the greater DC area is organized by Commuter Connections and the Washington Area Bicyclist Association. 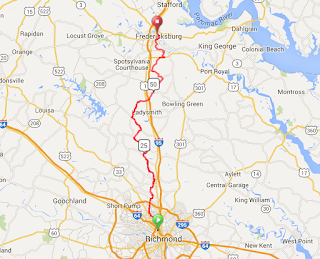 It will include 83 BTWD pit stops all over the Washington metropolitan region. The Fairfax pit stop locations are: Burke VRE Station, Fair Lakes, Fairfax City Downtown, Fairfax County Government Center, Falls Church, Fort Belvoir, Herndon, McLean, Mosaic, Mt. Vernon–Collingwood Park, Reston–Wiehle-Reston East Metrorail Station, Springfield/Metro Park at Walker Lane, Tysons Corner Center, and Vienna. Each pit stop welcomes bicyclists with refreshments and provides registered attendees with free t-shirts and chances to win bicycles and other great prizes. FABB representatives will engage riders about our group’s work and sign them up for the FABB newsletter. Whether a volunteer or commuter, make sure to register with your pit stop location by May 13 to be eligible for the free t-shirts and prize raffle. If you are willing to volunteer to help FABB promote better bicycling at this event, please sign up at VolunteerSpot. 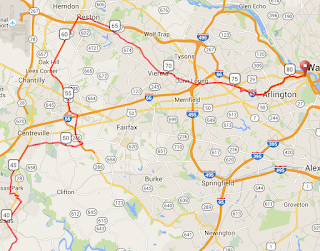 FABB seeks to represent and serve bicyclists throughout Fairfax County. Starting earlier this year FABB began holding monthly meetings in each of the county’s districts in addition to our usual location in Vienna at the Patrick Henry Library. FABB encourages members to attend all of our monthly gatherings regardless of location. 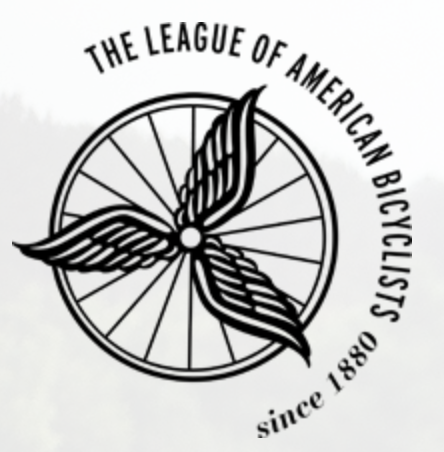 We hope that the effort to meet in the districts will inspire previous non-attendees to take advantage of the new meeting venues to join us and increase their participation in our growing efforts to make bicycling better in Fairfax County. Fairfax County is investigating various options for improving the Braddock Road corridor between Guinea Road and I-495 as part of the Braddock Road Multimodal Study. One of the options is improved bicycle access. An update on the study, including bicycle and pedestrian alternatives being considered, will be held on Monday, April 25 at Lake Braddock Secondary School, 9200 Burke Lake Road, Burke, at 7 p.m. This is an important corridor that lacks safe, convenient bicycle access. Attendees will have the opportunity to review different stations that will consist of an explanation of the project’s goals and timeline, lessons learned, roadway alternatives, pedestrian/bicycle alternatives and transit center alternatives. Representatives from FCDOT will provide an update on the study and the work of the citizen committee assisting in the project beginning at 7:30 p.m.
See our earlier coverage of Braddock Road and this study. 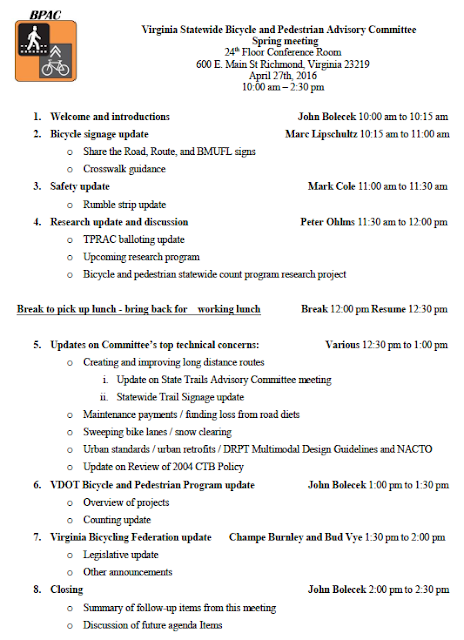 VDOT's Bicycle and Pedestrian Advisory Committee will meet at VDOT offices in Richmond next Wednesday, April 27. The committee is comprised of state and local officials and bicycle and pedestrian advocates. Topics to be discussed include info on the statewide bicycle and pedestrian count program, sweeping and clearing snow from bike facilities, the National Capital Area Paved Trail Plan, and an update on the review of the 2004 Policy for Integrating Bicycle and Pedestrian Accommodations. If you plan to attend, contact John Bolecek, the state bicycle coordinator. See the full meting agenda. The National Park Service recently published a study of their paved trails in the DC Metro area, the DRAFT Paved Trails Study. "The purpose of this study is to assess current trail and trail system conditions, and recommend steps the NPS and/or other agencies can take to improve existing trails and to create an integrated, inter jurisdictional network of urban trails for recreation, multi-modal transportation and education." WASHINGTON – The National Park Service (NPS) invites the public to comment on a new paved trail study, which reviews the region’s multi-jurisdictional trail system and identifies gaps in the network. The effort will help the NPS prioritize opportunities to expand multi-use trails in D.C. area national parks as funding becomes available. Comments will be accepted April 19 - May 19, 2016. To develop the study, the NPS conducted a comprehensive examination of its regional trail network conditions and of NPS and other federal regulations and policies that guide trail planning. Stakeholder outreach and local government trail plans and priorities, including major trail gaps and areas for potential partnership and collaboration, also informed the study. As a result, the study identifies 16 priority projects, selected by criteria including safety, user volume and whether a trail crosses more than one jurisdiction. The NPS is committed to providing enjoyable outdoor trail experiences that consider the recreation and transportation needs of all users. Today, there are more than 90 miles of paved trails in Greater Washington-area national parks including the Anacostia Riverwalk Trail, C&O Canal Towpath, Potomac Heritage National Scenic Trail, Fort Circle Hiker-Biker Trail, Mount Vernon Trail and Rock Creek Park Multi-use Trail. The last paved trail study was conducted in 1990. Members of the public, agencies and organizations are encouraged to provide comments online through the National Park Service Planning, Environment, and Public Comment (PEPC) website, which is used by the agency to manage official correspondence. 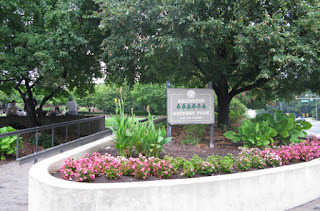 To provide comments, visit the project website, http://parkplanning.nps.gov/NCRtrailplan. Mailed comments must be postmarked by May 19, 2016, to receive consideration. Before including your address, phone number, e-mail address or other personal identifying information in your comment, you should be aware that your entire comment – including your personal identifying information – may be made publicly available at any time. While you can ask us in your comment to withhold your personal identifying information from public review, we cannot guarantee that we will be able to do so. FABB's monthly meeting is tonight, Wed, April 20, from 7:30pm – 9:00pm at Patrick Henry Library, 101 Maple Ave E, Vienna (map). The library is located near the W&OD Trail. All are welcome. For more information contact president@fabb-bikes.org. We'll be discussing current county bike projects, new bike and ped program staff, collecting bike rack information using Rackspotter.com, and more. 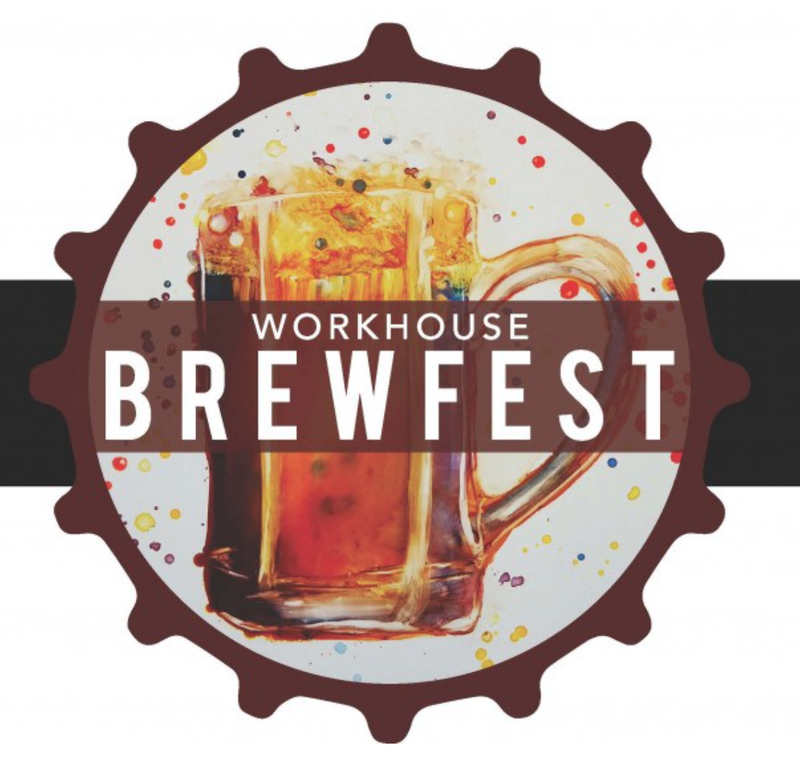 FABB is looking for help developing bike routes from various locations in Fairfax County to the Workhouse Arts Center in Lorton and its inaugural Brewfest on August 13, 2016. The Workhouse, in partnership with Celebrate Fairfax, Visit Fairfax, and Fairfax County Government, is presenting the BrewFest from 10:00 am to 6:00 pm that day. It will feature nearly 100 craft brews by 30 breweries, a dozen bands performing on three stages, numerous food trucks, lawn games, and Workhouse artists in their galleries, which will be open for visitors to explore. To make it easier for bicyclists to attend the event, FABB wants to work with a few riders who know the area around Lorton to develop routes and cue sheets for the event. If you are willing to help, please contact Steve Ward at srward1057@gmail.com. In the meantime, FABB members are encouraged to mark the date on their calendars and plan on attending what appears to be an amazingly fun event. DC's biggest bike party is May 21 and FABB needs volunteers. Tour De Fat is a fun-filled festival celebrating bicycling and good times. The all-day event is sponsored by New Belgium Brewery and helps raise funds for bike advocacy in the DC area. It is one of FABB's biggest fundraisers! Will you help FABB by volunteering with us at Tour de Fat? FABB needs at least 30 volunteers to help check IDs at the event. It's easy to do and a lot of fun working together at the festival. Volunteers will also receive 2 free beer tokens to enjoy after their shift. Sign up now for either a morning or afternoon shift. Be sure to enter 'FABB' as the password to be directed to our volunteer page. 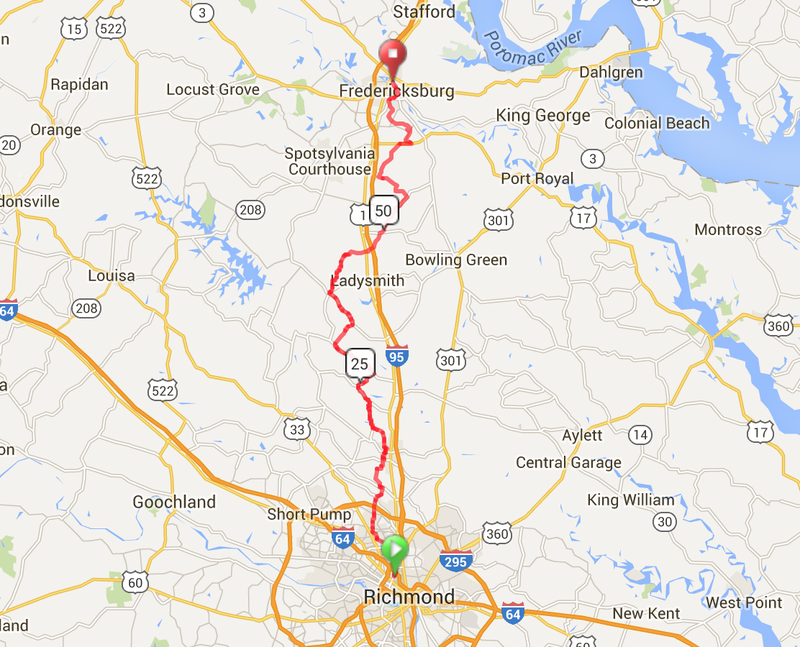 Registration is open for the 22-24 July Bike for Your Right Richmond to DC (RVA2DC) ride and Sports Backers, the ride organizer, has posted the schedule for the event on their website. Local riders who sign up for transportation from DC to Richmond can start loading their bikes at noon on Friday, 22 July, at a location (TBA) near Gateway Park in Rosslyn. Buses will depart at 1:30 pm with riders bound for the Sports Backers Stadium in Richmond, where they will pick up their ride packets and bikes. On Saturday, 23 July, the baggage drop will open at 5:30 am and riders will be able to begin the first day’s ride at 7:00 am from Sports Backers Stadium. The course, which leads to Old Mill Park in Fredericksburg, will be open until 5:00 pm. The Day 2 ride on Sunday also will start at 7:00 am with baggage being available for pick up at Gateway Park by noon. But, participants probably will want to first stop by the post-ride party at the park. The course will again be open until 5:00 pm. For more information on the schedule and the course, visit the Sports Backers website. 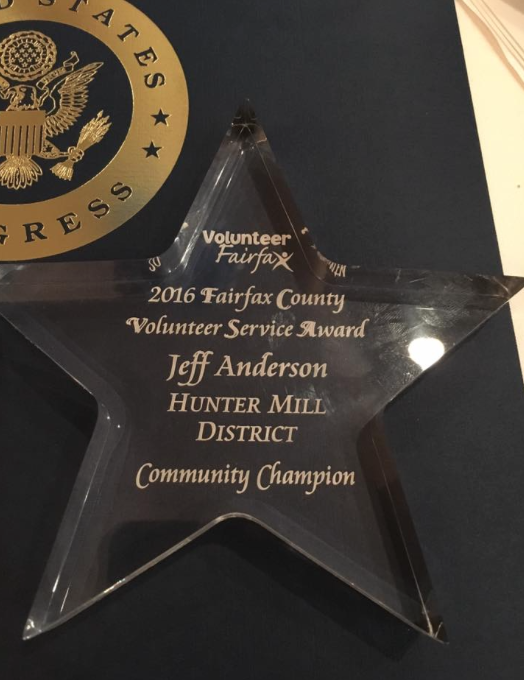 Jeff Anderson, President of FABB' Board of Directors, was recently honored by Volunteer Fairfax as the Hunter Mill District Community Champion. Jeff has led FABB's Safe Routes to School work, encouraging more kids to bike and walk to school. Jeff organized Wolfie's Bike Train so that neighborhood kids can safely ride to school. He led FABB's efforts to modify school policy so that parents decide whether kids can ride to school and to include bicycle safety education in school curriculum. Jeff also served on the board of Trails for Youth. See the FABB blog for more info on Jeff. Congratulations Jeff! 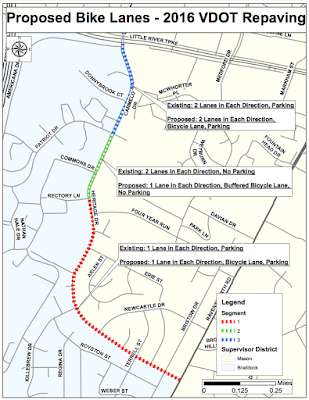 The Fairfax County Department of Transportation (FCDOT) has updated information about planned bicycle improvements to Heritage Drive. This project, as mentioned in an earlier post, is one of several scheduled for Braddock District this summer. 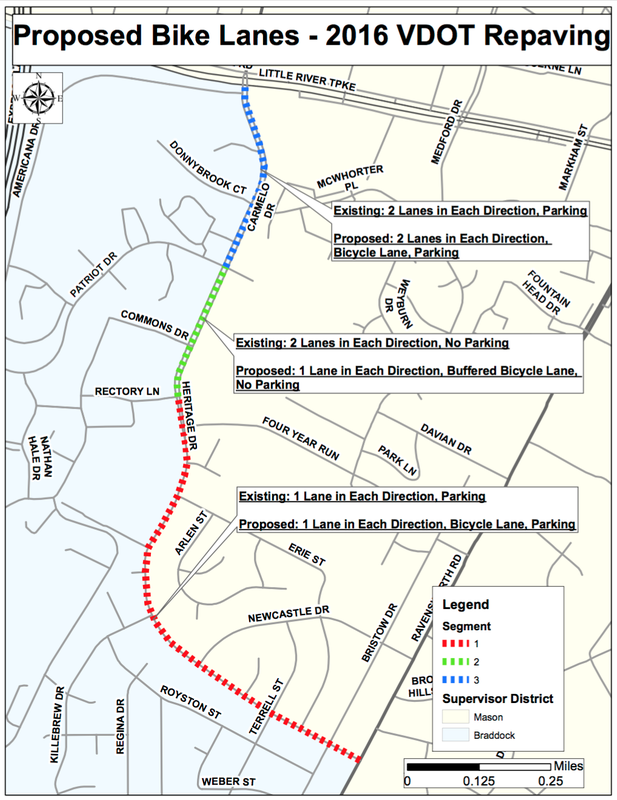 According to FCDOT, the current proposal does not change the number of vehicular lanes and parking spaces except for a short 0.2-mile segment between Rectory Lane and Patriot Drive. The proposed design to the north and south of the segment retains the existing number of travel and parking lanes but reduces their widths to create space to include a bike lane. FCDOT has posted a map with additional clarifying information about the plans for Heritage Drive. FABB wants to remind members and interested Fairfax residents that FCDOT is holding a community meeting this coming Tuesday on the proposed Braddock District bicycle improvement projects. The meeting is being held from 6:30 to 8:30 p.m. at the Canterbury Woods Elementary School, 4910 Willet Drive, in Annandale. We are encouraging supporters to show up and demonstrate to FCDOT that these improvements are important and should be completed. A good turn out is more important than ever, and FABB hopes concerned cyclists will make the time to attend. In addition to Heritage Drive, improvements will be made to Ravensworth Road, Coffer Woods Road, Patriot Drive, Guinea Road, and Queensberry Avenue. All of the changes are being made as part of the Virginia Department of Transportation's 2016 summer road repaving program. 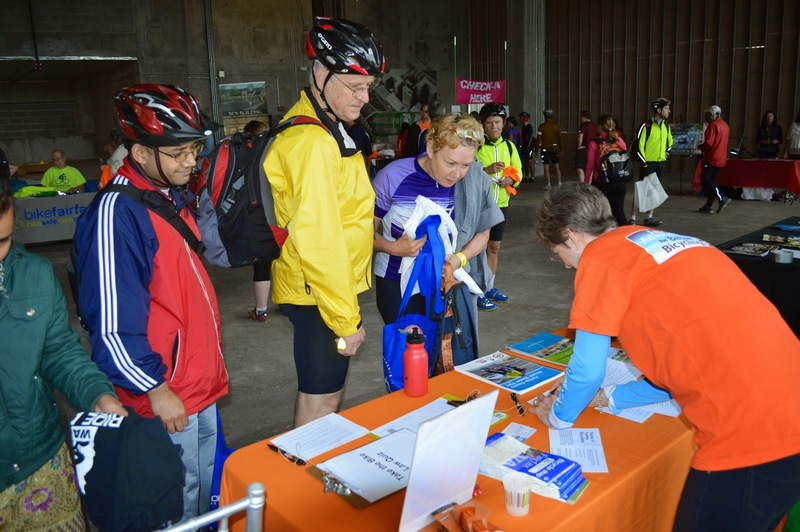 In addition to showing support for the project, the meeting is an opportunity for cyclists to help FCDOT by sharing their experience and ideas on how get the most benefit from the repaving projects. As we reported back in September, when Fairfax County residents were asked about the "Park, Play Areas, Gardens, Trails, Equestrian, Nature or Historic Parks or Facilities that are MOST IMPORTANT to Households." Paved walking/biking trails were ranked the highest of any other possible options. Fairfax County Park Authority will hold an open house on Thursday, April 14 to report on draft recommendations based on the earlier Parks Count survey. Will funding for future parks reflect the desire of county residents for more opportunities to bike and walk? Find out at the open house. See the Parks Count website for more details. Parks Count, the Fairfax County Park Authority’s Needs Assessment Study, is nearing a close and study findings are in. Since the public launch in August 2014, staff has been working with the consultant team led by PROS Consulting LLC to collect information, analyze trends, and draft recommendations. Public input in the form of comments provided, surveys completed, and meetings attended have informed the work and staff would now like to share study findings. A Parks Count Open House will be held on Thursday, April 14, 2016 from 6:30 until 9 p.m., in Rooms 106/107 of the Herrity Building (12055 Government Center Parkway, Fairfax VA). The Open House will include a brief presentation at 7 p.m. that will be repeated at 8 p.m. The presentation will cover key findings and outcomes. The remainder of the open house will provide an opportunity to visit the various information stations to learn more about the community’s needs for parks and facilities and the capital improvement plan for meeting these needs over the next ten years. The Northern Virginia Transportation Commission (NVTC) is holding an open house at 6:00pm and public hearing at 7:00 pm on Thursday, May 5, 2016, in the First Floor Conference Room at 2300 Wilson Boulevard in Arlington. NVTC is seeking public input on the multimodal components submitted for FY 2017 funding consideration as part of the Virginia Department of Transportation's (VDOT's) Transform 66 Inside the Beltway Project. As reported in the Washington Post today, the multimodal components consist of 19 programs, including enhanced bike-sharing services, which total up to $42.7 million in proposed spending. The comment period starts on 5 April. After receiving these comments and the input from the public hearing, the commission will vote on which projects to advance using toll revenues from the Transform 66 Inside the Beltway Project. The principal objective of the project is to select and fund multimodal components that meet the improvement goals, which are to (1) move more people, (2) enhance transportation connectivity, (3) improve transit service, (4) reduce roadway congestion and (5) increase travel options. 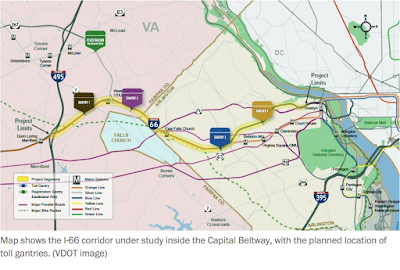 The improvement goals will benefit the users of the portion of I-66 between I-495 (the Capital Beltway) and U.S. Route 29 in the Rosslyn area of Arlington County. For more information, you can visit www.novatransit.org/i66multimodal, call NVTC at 703-NVTC-321 (703-688-2321) or email NVTC at i66multimodal@nvtdc.org. >> Engineering. Have facilities been built to promote cycling in the community? What is the total mileage of the bicycle network, both on-road and off-road? Do arterial streets have bike lanes? What is the availability of bike parking? Signals? Repair shops? Does the bike network connect to major community destinations like schools, neighborhoods, and the downtown? >> Encouragement. Does the community promote and encourage cycling through events, campaigns, and incentives? Is there a bicycle club? A bicycle advisory committee? 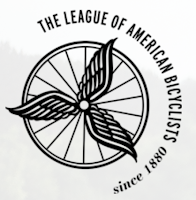 A bicycle advocacy organization? Does the community promote a bike-to-work day, week, or month? >> Education. Does the community do education about bike safety for both cyclists and motorists? Is there a community-wide bike map? How about bicycle-skills classes on repairs and ridership? Is the community aware of the location of bike trails and other facilities? >> Enforcement. Does the community have bicycle-friendly laws and policies in place? Does the community use enforcement to encourage cyclists to obey the laws and motorists to share the road? Do police patrol the bike trails? Are they plowed during the winter? >> Evaluation and planning. Does the community know how many people cycle and for what reasons? Is the bike plan current? Is it being implemented? Should it be updated? Is there a bike program coordinator or staff person? Does the city have data on ridership, crashes, and fatalities? With these questions in mind, how is Fairfax doing and what can we be doing better? It is good to see The Washington Post reporting this week on findings from a recently published Urban Land Institute study on active transportation and real estate that focused on a trend in developers building more “trail-oriented” communities to meet a growing demand for bike-friendly and walkable places to live and work. According to the report, the developers are taking advantage of government investments in recreational trails, a shift toward more urban and car-free lifestyles, and demand from people who can’t afford a car or choose to forego driving for health or environmental reasons. Developments profiled in the study, including the nearby The Flats at Bethesda Avenue, offer amenities such as bicycle storage, extra-wide hallways and elevators, bike cleaning stations, bike “valets,” bike-share systems and shower or locker facilities. FABB hopes Fairfax County developers, property managers, designers, and public officials will take a close look at the ULI report, Active Transportation and Real Estate: The Next Frontier, and learn from its case studies about supporting and leveraging investments in bike lanes and trails to create real estate value and promote economic, environmental, and public health goals. 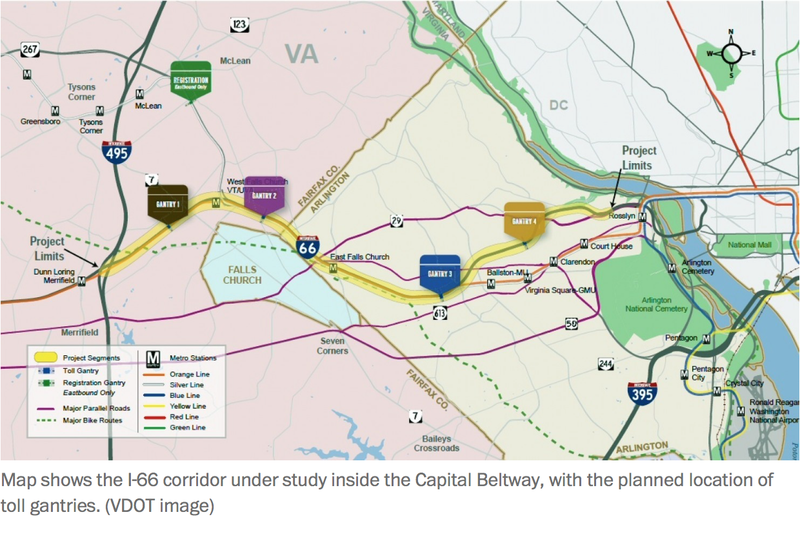 County homeowners, especially those near the planned improvements for the I-66 Outside-the-Beltway Project, should also note the study’s finding that numerous studies have shown that real estate values increase with proximity to bicycle paths and walking trails. U.S. census figures show that bicycle commuting jumped by 62 percent between 2000 and 2014. Economic considerations, such as the high cost of owning, operating, and insuring a car—which averaged nearly $8,700 in the United States in 2015, according to AAA—as well as environmental, social, and health factors, have caused a boom in bicycling. When cities invest in bicycle infrastructure residents and visitors begin to use bicycles at rates that exceed the national average. 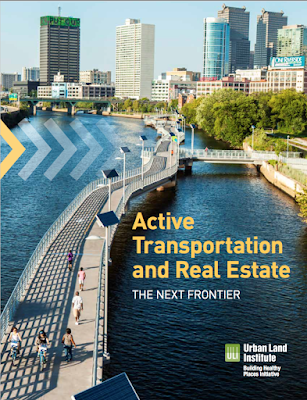 Active transportation infrastructure can catalyze real estate development. Trails, bike lanes, and bicycle-sharing systems can improve pedestrian and bicyclist access to employment centers, recreational destinations, and public transit facilities, thereby enhancing the attractiveness of developments along active transportation corridors. As bicycling and walking networks have grown, so have active transportation–oriented developments and bike-friendly businesses. The bicycle industry sold over $6 billion worth of bikes and equipment in 2014, according to the National Bicycle Dealers Association. More people ride bikes than play golf or ski and bicycle-friendly communities are finding that bike trails and other active transportation infrastructure encourage visitors to stay longer, spend more, and come back more often. In addition, bicycle infrastructure can help tourism-oriented communities maximize the benefits of tourism while minimizing burdens such as traffic congestion.